Thiem reached the final in Indian Wells by edging out Milos Raonic 7-6 6-7 6-4, setting up a final showdown with five-time champion Roger Federer, who he has beaten in two of their previous four meetings. I think he's one of the fittest guys out there and can hit the ball the hardest. The Austrian has lost in his two previous Masters 1000 finals - to Rafael Nadal and Alex Zverev, both at the Madrid Masters, in 2017 and 2018. However, he is clearly enjoying himself in California and believes that the conditions have suited his style of play. He told the official ATP Tour website: "I was preparing here for 12 days before the tournament, that helped a lot. This surface suits me pretty well because it's bouncy, especially during the day. "It's not too fast, so it's a little bit more similar to a clay court. The biggest adjustment is the movement, that I cannot slide around." 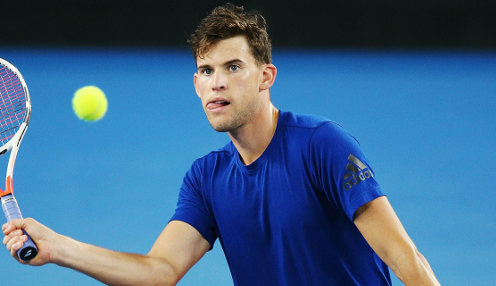 Thiem is 3/1 to defeat Federer and is 11/2 to do so in two straight sets, with the Austrian 7/1 to prevail in a three-setter. Meanwhile, Federer is preparing himself for a tough encounter, having been handed a final spot when a knee problem forced Rafael Nadal to withdraw from their semi-final date. The Swiss added: "I think he's playing very well. I think he's using the kick serve very effectively. The spins, they really bounce up high here in the desert air. "I think he's one of the fittest guys out there and can hit the ball the hardest. I think this surface suits him well for that."